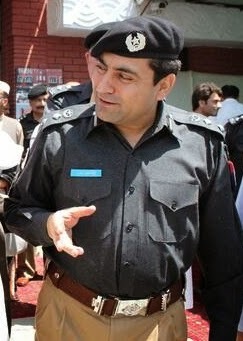 PESHAWAR: Capital City Police Officer (CCPO) of Peshawar Ejaz Khan has said that incidents of terrorism were considerably dropped in the provincial metropolis and other parts of Khyber Pakhtunkhwa, with successful carrying out military operations ‘Khyber-One and Zarb-i-Azb’ in North Waziristan tribal agency. Talking to media persons after attending a cards distribution ceremony among working journalists here on Sunday, the city police chief said that in contrast to the year 2013, there has been a sizeable reduction in terrorism-related incidents in the province during the current year. He especially credited to launch of the ongoing military operations Khyber-One and Zarb-i-Azb, for decreasing acts of terrorism in Peshawar and other parts of KP. 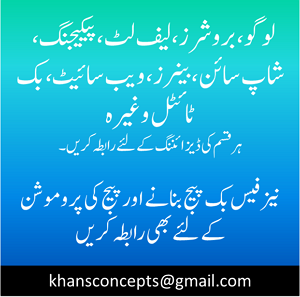 The ceremony was jointly organized by the Peshawar Press Club (PPC) and Khyber Union of Journalists (KhUj) at the press club, which were PPC President Nasir Hussain, General Secretary Fida Adeel, KhUJ President Nisar Mehmood, Mohammad Naeem and a large number of members of journalists community. When asked about the continuously extortion and targeted killing in Peshawar, the CCPO said that the tendency of extortion has also been reduced to some extent as a number of gangs have been arrested with the support of law-enforcement agencies. He said the police force were constantly taking steps to fully eliminate the menace of extortion and targeted killing in the provincial capital. To another question about presence of militant group Islamic State (IS) or Daish in Peshawar, he denied that there was not existed any Daish, saying that wall chalking in some areas in the provincial capital was appeared, but the militant wing was not any direct presence or operating wing in Peshawar. Earlier, addressing at the card distribution ceremony, Ejaz Khan lauded the initiative of the Peshawar Press Club and the Khyber Union of Journalists, which he said would help to only genuine working journalists to address grievances and problems faced during the professional obligations in the provincial capital. He recalled the some unpleasant incidents between journalists and police personnel had happened in the past due to misunderstanding now with the issuing of special cards to journalists for security, would helpful to build a well-coordinated liaison between them. The CCPO lauded the journalist community along with businessmen and common people for their active role in maintaining law and order and establishment of peace in the provincial capital. Despite receiving threatening calls and intimidation, he viewed the journalists continued their professional duties, which is commendable and well appreciable. He said the media was eye and ears of the society, through which both bad and good aspects were appeared before the general public. Unfortunately, he said some people in grab of journalists were indulging to defame the genuine members of the community. So, he expressed the hope that with effective coordination with the Peshawar Press Club and KhUJ, action would be taken against fake journalists.